After nearly 60 years on screen, it's little wonder Coronation Street has had it's fair share of big break-ups when it comes to relationships. 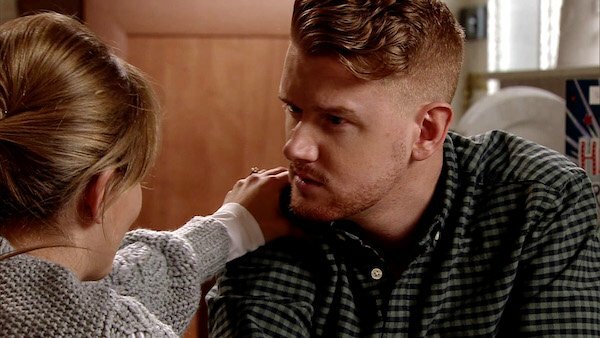 With characters coming and going from the cobbles all the time, some relationships are built to last, others aren't, and some are just plain wrong from the start. 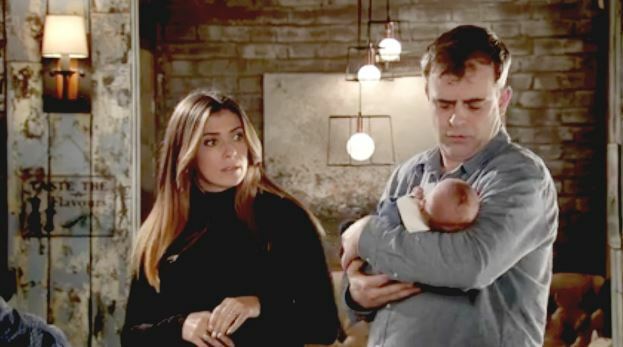 With seven marriages to five different women Steve McDonald (Simon Gregson) is going to appear on this list several times, but perhaps the most heartbreaking was when he parted ways with Michelle Connor (Kym Marsh) for the second time. We knew their union was a ticking time bomb ever since it was revealed he'd impregnated Leanne Battersby (Jane Danson), but what made the betrayal even more heartbreaking was Michelle and Steve lost their own baby, Ruairi, at just 23 weeks. When Oliver was born, Steve tried to pretend he wasn't bothered, but when he held the newborn at Oliver's naming ceremony, he couldn't cope any longer and blurted out the baby was his son. The revelation led to the breakdown of his and Michelle's marriage. She's now with Robert Preston (Tristan Gemmill) and Steve's married to Tracy Barlow (Kate Ford) for the second time. Despite everyone around her realising her hubby was no good, it took Eileen (Sue Cleaver) a really, really long time to see it. Until he returned for revenge and threatened to kill her. He was then killed by Anna Windass (Debbie Rush) after he'd stabbed his daughter, Nicola Rubenstein (Nicola Thorp), and Michelle Connor. Jim and Liz (Charlie Lawson and Beverly Callard) have broken up more times than we can remember, and their latest ending didn't even come when they were properly together. Their marriage first hit the rocks in 1992 after the death of their baby daughter, Katie, at just one day old. They reconciled, but Jim's drinking and violence led to their separation again in 1994. They eventually divorced in 1996, remarried in 2000, and split again in 2005 when Liz decided she didn't want to wait for Jim who was in prison for manslaughter. The pair agreed to try again in 2011, but Jim ended up back inside after robbing a bank. 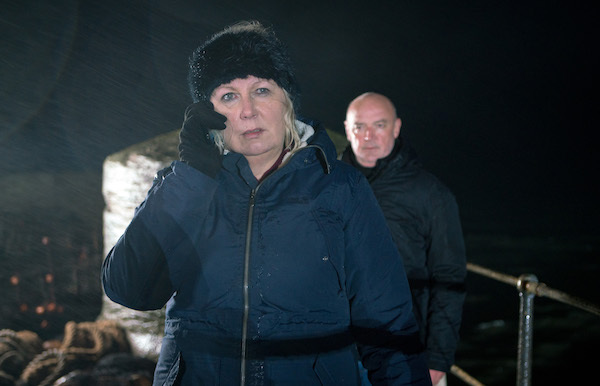 He returned in 2018 to get revenge on Liz by convincing her their daughter Katie was still alive. Liz started to fall for it and they were close to rekindling their romance when she found out the truth - and went understandably mad. This ended their relationship for good. We think. 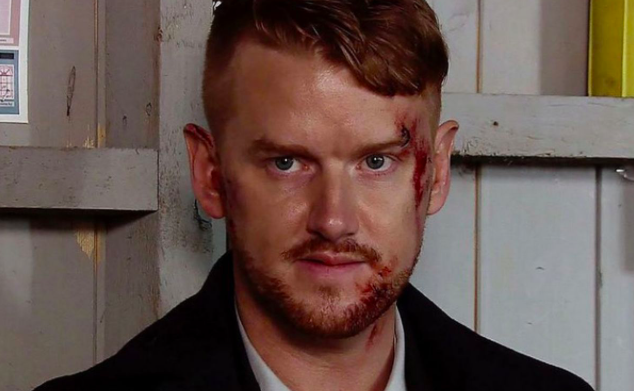 He might have been one of Corrie's comedy characters, but Graeme Proctor (Craig Gazey) was also a heartbreaker when he left Tina McIntyre (Michelle Keegan) for her friend Xin Chiang (Elizabeth Tan). After helping Tina through the death of her father, Graeme soon became more than good friends with her and they moved into together. But then Tina made the mistake of asking her boyfriend to marry her friend Xin to stop her being deported. Graeme agreed and they put on the pretence of being a couple in love - trouble was, they actually ended up falling in love for real. Tina was heartbroken when they decided to be together and threatened to report them to immigration. But she eventually let them be together and they left for a new life in London. Carla Connor (Alison King) and Peter Barlow (Chris Gascoyne) are currently locked in a will-they-won't-they reunite storyline, but their break-up in 2014 was so huge it led to his imprisonment. Peter had been having an affair with Tina McIntyre, but after discovering wife Carla was pregnant decided to end it and dedicate himself to her and their baby. But it wasn't long before he was forced to confess his affair - and hours later Tina was murdered. Although it was Rob Donovan (Marc Bayliss) who did it, Carla thought Peter had offed Tina and Peter thought Carla had done it. Peter even went to prison for it, so sure that Carla had killed her and wanting to protect her after all he'd done to her. As they continue to battle their feelings for each other now they're both back on the cobbles, when will one of them crack and realise they're meant to be? Here's Steve again with wife number two (and three), Karen McDonald (Suranne Jones). They first got together in 2001 and quickly got married for a bet, but then realised they actually quite liked it. Karen decided she wanted a big fancy wedding though, so staged a break-up, which got on Steve's nerves and he ended it for real. He then changed his mind and proposed and Karen got her fancy wedding - that Tracy tried to ruin by cancelling everything. Tracy turned out to be the end for Steve and Karen and when Karen broke down after suffering a miscarriage it was the beginning of the end for Karen and Steve's marriage. After more meddling by Tracy, Karen lost it and made Tracy believe she'd set fire to a car with Amy inside it. Steve decided he'd had enough of the drama and told Karen to leave. Boxing Day 2004 saw her exit the Street for good. 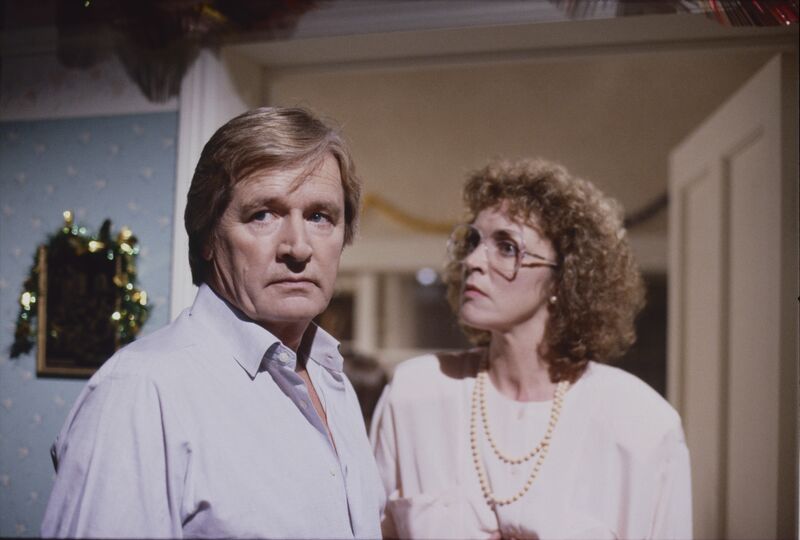 Deirdre (Anne Kirkbride) became Ken Barlow's third wife in 1981, but she grew bored with him by 1983 and had an affair with Mike Baldwin. The scenes in which the affair was revealed are some of the most iconic in Corrie history, with 20 million viewers tuned in, the second-highest ratings in the show's history (Hilda Ogden's farewell in 1987 was the highest). Although they agreed to stay together, Ken's revenge affair with Wendy Crozier was the final nail in the coffin and they divorced in 1990. Fortunately they reunited in 1999 and remarried in 2005. They stayed together until her death in 2015. Kevin (Michael Le Vell) and Sally (Sally Dynevor) are another Corrie couple who've been apart and together more times than we can remember. 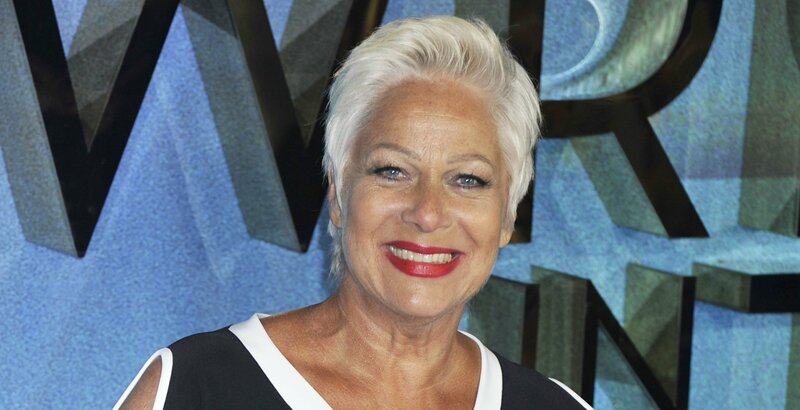 They first married in 1986, and went on to have two daughters, Rosie and Sophie, but split in 1999. However, they reunited and after Sally had another affair before their second wedding, they said 'I do' again on December 9, 2009. 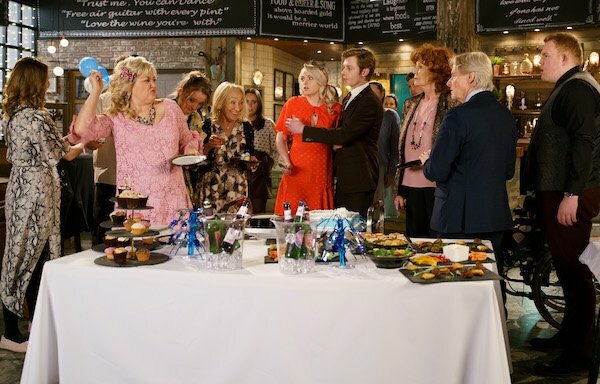 The cheating continued on both sides: Sally with her boss Ian Davenport and Kevin with Molly Dobbs (Vicky Binns), fathering a child, Jack, with her. 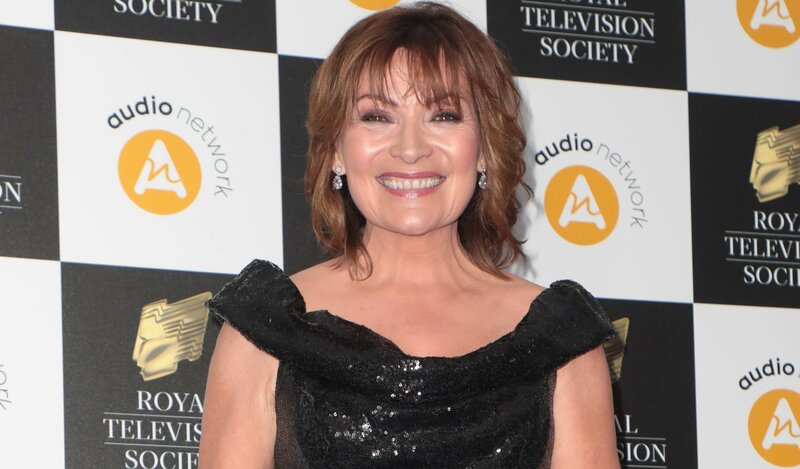 The final break-up for Sally in Kev, in 2010, was the most difficult. Kevin had been about to leave Sally a year earlier when she told him she was battling breast cancer. He stayed by her side, but then she found out about Jack during the tram crash when Molly told her before she died. 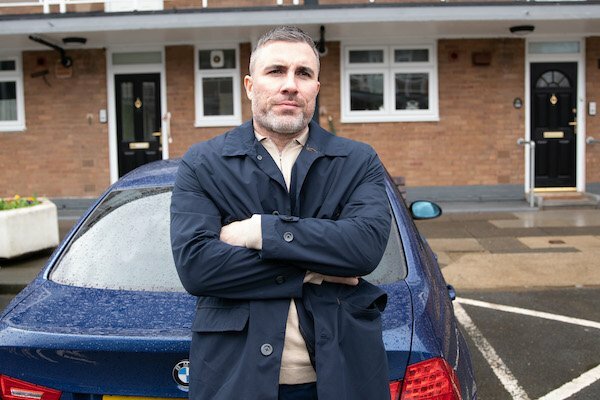 Sal was distraught and even tried to kiss Molly's widower Tyrone (Alan Halsall) in the following scenes. But she's found happiness now with husband Tim Metcalfe (Joe Duttine) and she and Kev remain firm friends. Steve makes his third appearance on the list, this time with fourth wife Becky McDonald (Katherine Kelly), who's famously feisty side saw the death of their marriage. 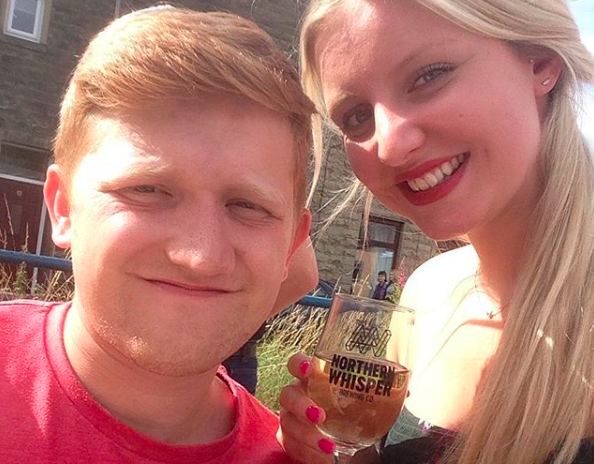 Becky went on a rampage after failing to secure £20,000 to buy her nephew, Max, after she found out she was unable to have children of her own. She looted Dev's shop in the wreckage of the tram crash and drunkenly lashed out at her mother-in-law Liz. When social services took Max into care, Becky blamed Tracy and went to the Barlows' with a sledge hammer. As Steve confessed he'd called social services, Becky walked out and that was the end of their marriage. Steve went on to marry Tracy, who became pregnant with his twins, before miscarrying. She made everyone believe Becky had caused the miscarriage, but Becky was able to prove her lies on Steve and Tracy's wedding day. Becky then departed Weatherfield for a new life in Barbados with boyfriend Danny Stratton (Jeremy Sheffield). Do you think these are the biggest break-ups on Corrie? Leave us a comment on our Facebook page @EntertainmentDailyFix and let us know what you think!